Fashion lovers across the globe get a great chance to shop when it comes to wholesale fashion apparel. A striking and most obvious benefit of purchasing wholesale women’s apparel is that it saves a lot of time, money and efforts of buyers. When trendy clothing is purchased online from wholesale stores, lot of fringe costs can be diminished owing to the absence of professional agents or middleman. Wholesale apparel allows buyers to buy in bulk and shop from a wide variety of clothes at rock bottom rates. Fashion conscious women have varied needs when it comes to buying wholesale apparel. Several women now prefer to buy wholesale clothing as it allows them to shop from a variety of options presented in the collection. Buying online also offers a lot of convenience to the buyers. When you browse online wholesale stores, you will come across a wide variety of women’s apparel wholesale such as dresses, trousers, jackets, skirts, tops, jeans, etc. Further, one can also get a chance to shop for clothes which suits every body type and makes you look great. Some of the latest trends in women’s tops include blouses, camisoles, oversized shirts, etc. For women, who want to follow fashion trends can check out fashion magazines on a regular basis that will keep them updated about the current clothing trends prevailing in this fashion industry. By following these trends you can remain stylish all the times. 1. Coloured jeans – Jeans are available in a wide variety of impressive colours which simply range from pastel, deep blue to black. Women can mix and pair their favourite tops with their choice of coloured jeans. Buying coloured jeans gives more opportunities to buyers to try out more interesting combinations. 2. Maxi dresses – This type of dresses are light inweight and easilyfits slim and plus size women. 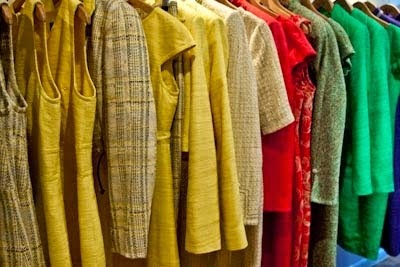 It comes in a wide variety of interesting hues, fabrics and designs. You can opt for maxi dresses which are made from a breathable fabric and that flattens your figure. A good thing about maxi dresses is that one can wear it on casual or formal occasions. Besides this, one can also team them up with heels, pumps to gladiator sandals. 3. Drop hem dresses – Wholesale clothing business also offers variety of drop hem dresses at competitive rates. A good thing about this type of dress is that it is quite flattering and gives an attractive look to the wearer. 4. Midi dresses – It is very popular and old-fashioned glamour which can be worn on any occasion or event. You can easily find this type of particular skirt online which is very comfortable and versatile to wear. This type of dress usually falls between the knee and the ankle. If you are opting for printed midi dresses then you can team it up with simple and elegant looking accessories. Thus, you can follow these clothing trends and stay stylish all the times, without worrying about your budget limit. Thank you for taking the time to read this fashion blog post. We hope that you have found this news to be informative. You can also visit our wholesaler section to learn more about this subject. You may also find interest in our article, "What is wholesale clothing? ".